If you are a contractor or would like more information about the Washington State Convention Center Addition project, visit our Contracting page. 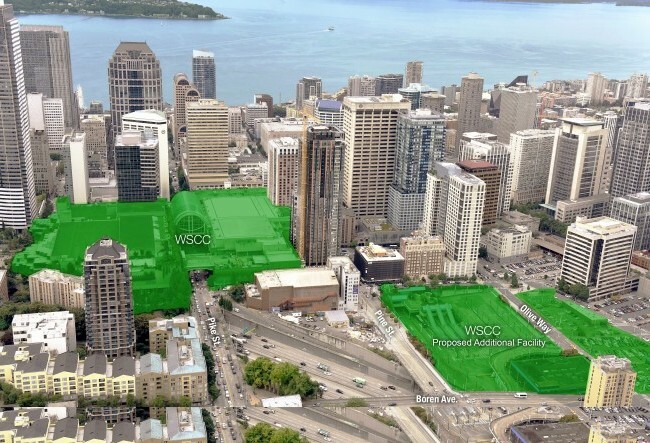 The WSCC Addition will be located in Seattle’s downtown core at the intersection of several distinct, urban and rapidly evolving neighborhoods. 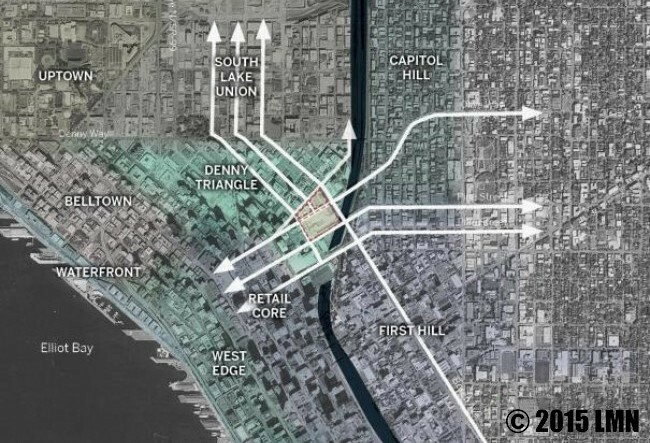 The project includes two co-development sites and will transform the equivalent of four blocks of downtown streetscape. 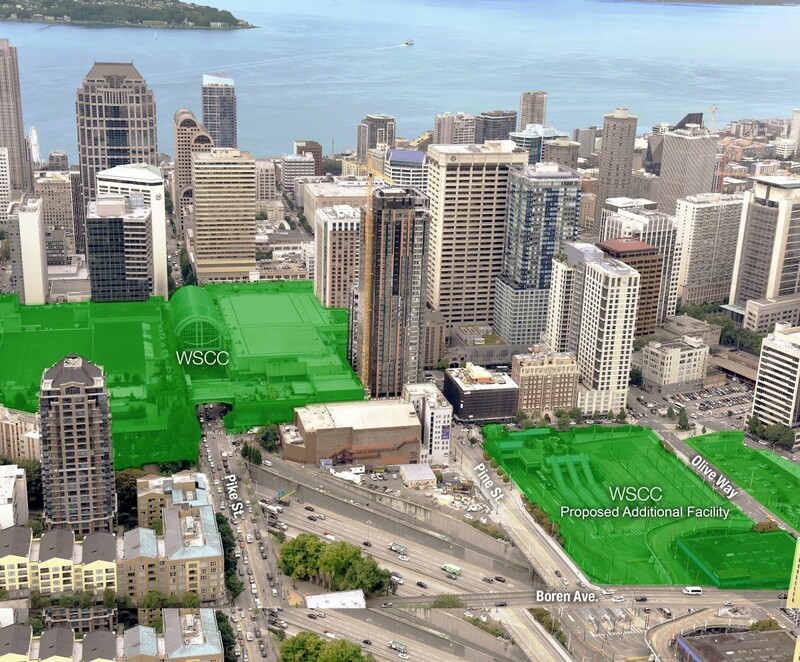 Proximity to Pike and Pine creates a strong link to the waterfront via Pike Place Market and Westlake. Notable landmarks adjacent to the site include the historic Paramount Theatre and the Worldmark Seattle -- Camlin. 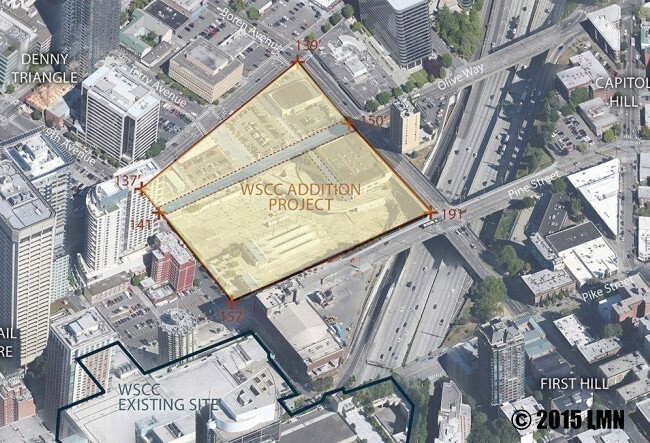 The WSCC Addition will have convenient and direct connections to several surrounding neighborhoods and enhance linkages in the downtown core. 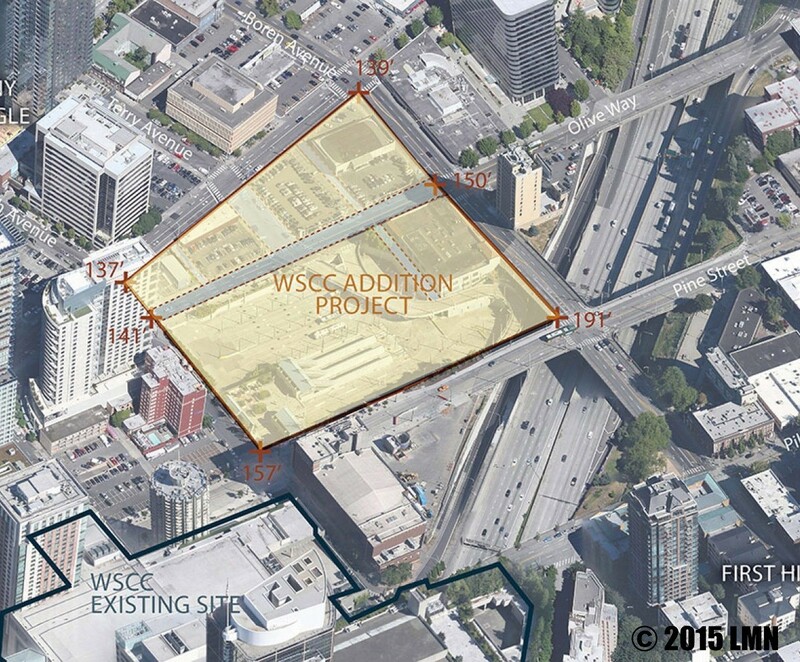 The WSCC Addition site is bordered by Pine and Howell Streets and Ninth and Boren Avenues.